Spring is the perfect time to come to the beach! The weather is getting warmer, but not too hot, the beaches aren’t yet filled with visitors and room rates are still great! This deal is great for those who have flexible travel dates. If you are planning to arrive Sunday through Thursday and want to stay for three nights or more then this deal is for you! Valid on select room types for most stays from March 1 through May 30, 2015, this spring deal offers vacationers a $25 instant rebate. But, you will want to hurry because this special offer expires on February 28! If you are looking for more of a package deal that comes with fun goodies, then you will want to check out the Fun In The Sun – Beach Package, which is great for families. Valid for spring vacations, this package includes great room rates, a Captain’s Quarters Resort tote bag and towel, sand bucket and pirate or princess beach ball. You’ll have fewer items to pack for your vacation plus you will come away with some great souvenirs to help you remember your Myrtle Beach vacation for years to come! 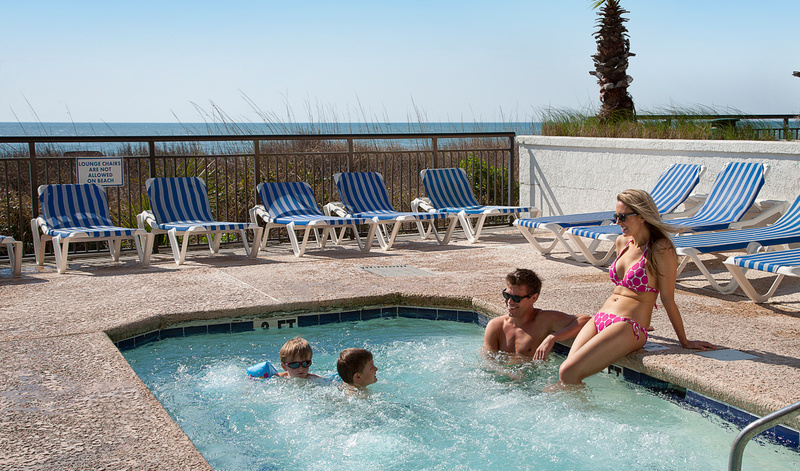 A great spring deal, the 2 Free Nights Deal is perfect for those planning a week-long Myrtle Beach vacation. How it works is, you can stay at our resort for 7 nights by just paying for 5 nights at the house rate through this special! A great money-saver, this deal is one of our most popular specials. Plus, this spring we are also offering guests the opportunity to get free tickets! On select dates you can get a free ticket with additional purchase to WonderWorks, Legends In Concert, Alabama Theatre’s ONE The Show and more! Click here to learn more about how you can get free tickets this spring. Want to check out all our specials and start planning your Captain’s Quarters Resort Myrtle Beach vacation? Click here!